Our scifipolicy.com review essay will address Rogue One as the engineering ethics case study it is. Properly understanding the ethical power of the engineers in Rogue One enriches our understanding of good and evil in the Star Wars universe and furthers our understanding of what engineering ethically truly means. The movie begins with the Death Star program director, Orson Krennic (Ben Mendelsohn) finding and returning his escaped top scientist, Galen Erso (Mads Mikkelsen). Despite all the resources of the Empire and its access to the dark side, the Death Star takes 15 more years to build, requiring incredible effort and the capabilities of a top designer and scientist of Galen’s caliber. The challenge of engineering was apparent to all, as Grand Moff Tarkin notes years of challenges and delays. It is important to note that while the movie calls Galen a scientist, he was leading a design effort and a team of engineers. To us, he clearly is an engineer. The film also makes its engineering ethics explicit. Before the opening scene, Galen Erso had escaped the Death Star project because of his moral objections, likely against the Empire as well as the concept of making such a terrifying weapon at all. After Krennic captures him, Galen later tells his daughter Jyn that he had a choice: he could have continued abstaining, and let someone else build the Death Star, or he could dive deep into the project, become indispensable to it, and find a way to stop it. He chooses to dive deep, and succeeds in building a subtle flaw in the Death Star design. Then 15 years later, he sends a messenger to the Rebellion informing them of the weapon’s existence, power and most importantly, its fatal flaw. Galen’s reflection on engineering could have come straight out of real-life engineering discussions of the 1970s. As the historian Matthew Wisnioski captures in his book “Engineers for Change”, many engineers were criticized during the Vietnam War for their role in developing major weapons systems. In the real world, Galen could have become a conscientious objector and left the project, but oftentimes engineers can choose to stay engaged and try to influence the project. In our world, some engineers did change fields and while some engineering societies sponsored large public debates about the role of technology in society. Engineering schools added ethics to their curriculum, but Wisnioski suggests that the changes were ultimately too narrow. Unfortunately, much of engineering ethics education has focused excessively on whistleblowing, and perhaps a limited view of Galen Erso’s actions would call what he did “whistle blowing,” as he alerted the rebels to the looming threat. We tend to agree with the engineer philosopher Samuel Florman who once wrote that “Whistle-blowing - to use a word that appears early and often in many discussions of engineering ethics - is a rare and extreme circumstance, worthy of consideration, to be sure, but not deserving of the central role it has been given in studies of the field.” What Galen Erso does is not simply watch a system be built and then whistleblow; he actively shaped the design from its earliest stages considering its ultimate societal impacts. These early design decisions are proactive rather than reactive, which is part of the broader engineering ethics lesson of Rogue One. Galen Erso, as more than a conscientious whistleblower, highlights what a broader approach to engineering ethics can look like. Critically, Galen modified the Death Star design creating a critical flaw that could be used to destroy the Death Star. This weakness, a path for a missile charge to travel from the Death Star surface through an exhaust port to hit the center reactor, was then exploited by the Rebels and, in particularly, Luke Skywalker in Episode IV. Erso demonstrates that if one is imaginative enough, there can be ways to change or modify a design so that it has a different impact on society, so that people can interact with the design in a positive way, or so that it can best contribute to a more just world. While Galen’s change to the Death Star is an extreme case, akin to modifying a nuclear weapon design, engineers make many decisions that affect our everyday lives. Engineering and technology can critically define how people live and who has power. Philosopher of technology Langdon Winner’s article “Do Artifacts Have Politics?” argues that technology changes the world around them, creating policies and politics that result from the inherent (at times destructive) characteristics of the technology. Yet, it is not only the technology of advanced weapons that can shape our world. Social media and increased computer devices are affecting how humans think and how we act in a democratic society. An engineer must consider not only the function of a new system, but how it will be used and the possible unintended consequences, just as Galen Orso did when designing the Death Star. A complementary point to Winner is to think through how we have to labor to maintain existing systems. Historians Andy Russell and Lee Vinsel have started a social movement called The Maintainers, which tries to call attention to the neglected role of maintenance in society. While the Star Wars universe has a lot of ships and cities that look like they’re in a state of dystopic disrepair, there are also many who scavenge (such as Rey) and make the most out of existing systems.. A robust discussion of engineering ethics should consider how we treat the people and technological systems that maintain the broader society. The Force is not enough? The above issues are all substantial parts of engineering ethics, but there is one more highly speculative thought about engineering ethics in Star Wars that I want to explore. Rogue One surprised me in how much it highlighted how the dark side seems to rely on technology. In my reading of the original films, it always seemed to me that the Force was the most powerful source of change in the Galaxy, and that the Empire relied on technology only incidentally. As Vader said in Episode IV, the Death Star’s power is “insignificant next to the power of the Force.” The ultimate threat was the Emperor, and the two Death Stars and the Star Killer were secondary, almost easily summoned into being just in time for the next movie plot. In contrast to that, Rogue One shows that the engineering development of the Death Star took decades to complete and was a much more complex and vexing development than we knew. While its plans were briefly shown in the prequels, the amount of work needed to make the Death Star a real engineering artifact required the focused attention over decades of Krennic, Tarkin and Vader. In this film, the Emperor’s long term survival and goals for the dark side rely on the challenging, detailed, and sometimes banal work of engineering and technology development. Despite the Emperor and Darth Vader’s great power in the force, they needed technical superiority to establish permanent galactic control . One way of describing this is to say that the dark side is seeking a technological fix . A technological fix, as described by Daniel Sarewitz & Richard Nelson, is a technological solution found to address a complex, social problem. On paper, a technological fix sounds great, due to its assumed replicability and reliability. However, problems in the real world can simply be too complex, defying any easy technological solution. We never really know how effective the Empire’s technological fixes are, though, as the Rebels continue to destroy these mega-weapons before they are widely used. But, if the Death Stars are a technological ‘fix’, then what is the problem that it’s trying to solve? Clearly they want to eliminate continued resistance to the Empire, as well as the possibility of battle with future Jedi or other light Side users. All technological factors being equal, perhaps the battle between the light and dark side will always come to a partial détente, as Yoda’s battle with Palpatine showed. Without a technological edge, there are individual victories that change the tide, but never fully wins the war. The Death Star is the engineering artifact intended by the Emperor to tip the balance between the light and the dark. Interestingly, the dark side users abide by the ‘Rule of Two’, where there is only supposed to be a Sith master and a Sith apprentice, of which the latter is expected to take over from the master. This Rule of Two exists because multiple dark side users cannot be trusted: each will betray the others until they are in succession to eventually lead. Given the Rule of Two, there can never be an army of multiple Sith that fight, which means they need accessories to help promote their goals. Perhaps in this way, the real problem that the the Death Star hopes to fix is one of trust: it lets the Sith maintain power over others without needing to involve and ultimately trust another Sith. As mentioned, this discussion also changes the interpretation of Luke Skywalker’s victory against the Death Star in Episode IV. It’s not simply a case of using the Force to beat a technologically superior foe. While the light side of the Force (and an assist from Han Solo) was needed, so too was the ethical engineer who built in a design flaw into the Death Star. The entire fight scene can now be scene as a battle of light and dark with engineers shaping the terms of engagement. Rogue One’s core story arc is about an engineer influencing a technological system that will transform the political order of the galaxy. Ultimately, Galen Erso engineers the system from the bottom up to have a critical flaw to ensure that this weapon of destruction could also, itself, be destroyed. This character reminds us all that engineers can and must insert ethics into the heart of their work. Galen Erso’s ethical objections amount not just to whistle-blowing, which is a standard, but limited part of engineering ethics. The movie demonstrates the broad range of engineering ethics which combines whistle-blowing, ethical design, and a fundamental consideration of the role of engineering in society. When considering ethical engineering in Star Wars, a new range of questions emerge which, as #scifipolicy aficionados, we look forward to continuing to debate. Was Luke Skywalker’s initial success only possible due to an ethical engineer? What is the balance of moral responsibility between the engineers and the force users? Does the final outcome of the battle between the light and dark sides depend upon engineering? This is one role for science fiction in policy: to inspire questions, and perhaps provide some answers, that further illuminate the technological challenges we face in society right now. Reflecting on the ethical engineering in Star Wars can serve as amusing but fruitful practice for ethical engineering in the real world. such fictional representations affect the career choices of students, when all the cool aspects of engineering are made to seem like science activities? For more details on how engineering is different from science, see Henry Petroski’s The Essential Engineer. Also, a more substantive spoiler that provides a hint into what engineering is in Star Wars: to punish Galen for being a whistleblowing traitor, Krennic kills seemingly all of the six or so engineers who worked for Galen. Apparently the engineers are all disposable whereas the ‘scientist’ in charge is not! That the engineers were both few in number and all very old, white men seems deliberate. (12/21/16 Edit: this footnote was accidentally left out, thanks to RT for noting error in comments.) The Jedi and the Rebellion’s use of technology is different from the Sith’s. They use technology, having their own fighter and cruisers that can fight with Star Destroyers, but they never attempt to make a singular weapon. In the prequels, there are also many different Jedi, as they don’t need to constrain their number due to a lack of trust. There are hints of a sort of craft knowledge amongst the rebellion: Han Solo’s relationship with the Millenium Falcon is one of craft and informal learning – one might suspect he’d enjoy the book Zen and the Art of Motorcycle Maintenance? The clone wars are an interesting contrast here: did the creation of the clone army (and eventual stormtroopers) reflect a type of technological fix as well? In some ways, surely yes, but it’s of a very different nature than the Death Star. That was an example of a very distributed military, which could exert a person-to-person style of military control across the galaxy. The use of cloning technology is not necessary, and perhaps Episode VII’s use of non-clone but brainwashed stormtroopers is a return to that. The Death Star, in contrast, was a very singular and monolithic device that could destroy planets. Why did the Emperor decide to build the Death Star instead of building endless numbers of clones such that he would simply overrun all resistance? As you might guess from our “Why Science Fiction and Policy” page, we wish there was an established field of “Science Fiction Policy Studies”. Yes, there are already venues out there for futurists, as well as many resources on using scenarios to inform decision making (google scholar abounds with it!). But rarely does science fiction get discussed in policy debates or inform policy decisions. We want there to be more public and scholarly attention about how science fiction stories can inform policy debates about the future. Science fiction stories can force us to think through our own goals and priorities for given policy issues, allowing us to develop a similar language for talking about policy decisions. Thankfully, there have been some efforts to contextualize science fiction and how it can inform policy. Below is our list (which we’ll update as we find more) of some of the best resources for thinking about the role of science fiction in informing policy. Some of these tools can be used to create new, tailored science fiction that can tease out key parts of a policy debate. Others can take existing science fiction and help better insert it into policy discussions. Just as Bennett and Miller explore science fiction as a tool for governance, others have proposed a broader framework for governing science policy, with science fiction as a key tool for doing analysis. Real-time technology assessment has a dedicated research theme for using science fiction. The most significant implementation of this research approach is through work on "Technology Assessment and Choice" which uses SF as part of a broader suite of tools to examine where technologies are going and how society should govern them. Science fiction can tie to many different approaches for governing technology. Rosalyn Berne, a professor at the University of Virginia, has used SF as a tool to probe where scientists imagine how their work might develop. 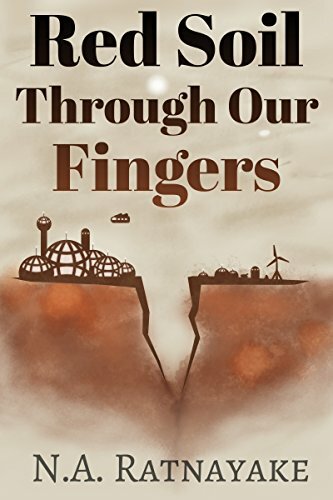 By forcing scientists and engineers to write SF stories themselves, it can cause them to question assumptions about utility and unintended consequences that might not otherwise be considered. This approach could help generate new science fiction, which in turn may make scientists and engineers more aware of the policy dimensions of their own work. NASA has also explored using science fiction to inform its policy decisions! At the turn of the millennium, NASA worked with several science fiction, including the late Arthur C. Clarke, to get advice for how it should do long term thinking. David Rejeski of the Woodrow Wilson Center for International Scholars discussed the result and prospects of such an approach here. This list is just a beginning, and we’d love to get input from others on what other helpful resources there are. Please join the conversation by emailing us at scifipolicy@gmail.com, or on twitter @scifipolicy. What is science fiction? Debates for decades have tried to define what science fiction is, exactly, often trying to exclude some piece of the genre and emphasize others. Such debates are likely irresolvable. In the words of Justice Potter, you "know it when [you] see it". There is a lot of science fiction published every year, and much of it varies, from the fantastical to dystopic to transcendent visions of humanity and its various possible futures. We are willing to have a broad definition of what science fiction is-- but our main concern is trying to find fiction that makes us rethink policy debates. We should also caveat an oft-repeated concern: some avoid science fiction because they don’t think it is “good literature”. We, in part, agree: there is a lot of bad science fiction published every year. But, as the editor Theodore Sturgeon once said, “90% of everything is crap.” Given that most published literature is bad, it’s obvious that most science fiction is likely not to be good as well. We believe that there is a spectrum of quality for stories, but that there can sometimes still be awkwardly written tales that can make us think differently about real world problems. Novel: story of forty thousand (40,000) words or more. Novella: story of between seventeen thousand five hundred (17,500) and forty thousand (40,000) words. Novelette: story of between seven thousand five hundred (7,500) and seventeen thousand five hundred (17,500) words. Short Story: less than seven thousand five hundred (7,500) words. Here at SciFi Policy, we have a special focus on short stories through novellas. Numerous references already exist for assessing what books are available in science fiction every year -- check out major websites like io9, tor.com and SFRevu.com. If there is an important policy message in a book, it will become part of the discussion. There are, however, very few resources for identifying short stories in science fiction. Moreover, if you’re looking for something that a congressional staffer or federal decision maker can read, the story often needs to be short. Shorter stories are worth focusing on because they have a better chance to go viral, whether among policy-makers or the public. Here is a partial list of the magazines that publish short fiction (novella through short stories). Some of them are paper or kindle subscription only, but increasingly more and more magazines are putting stories online. Tor.com - This one has a lot of blog posts but also publishes original stories. They also have monthly summaries of new books that come out. Issues in Science and Technology - A publication of the National Academy of Sciences, which has committed to publishing 1 SciFi story per quarter. Hieroglyph: Stories and Visions for a Better Future - Led by Arizona State University’s Center for Science and the Imagination. Finally, Sam Tomaino’s brief summaries over at SFRevu.com are an invaluable resource in sifting through the substantional amount of material published each month. Across all of these magazines and anthologies, there are several dozen short fiction pieces published every month. One of the best resources for discovering what new science fiction short stories are coming out is SFRevu.com’s prolific Sam Tomaino. His column (Note that the link will direct you to July, 2015; just skim through to find the month and year you’d like) provides several-sentence summaries of all SciFi short fiction published each month. Given that there are too many short stories published in a month for any mortal human to read them all, we sometimes skim through Tomaino’s SFRevu blurbs to decide which stories are worth reading That helps us triage 80% of the SciFi that's out there, searching for stories that seem to be relevant to a contemporary policy debate. However, given all of this: it’s still hard to find science fiction stories that can help us think through policy issues. Likely more such fiction needs to be written -- but there are still gems that are published every year. As time permits, our blog will attempt to curate and write about new science fiction stories that may help us think through issues in a different way. Your thoughts and suggestions on candidate stories or resources for finding policy relevant scifi are welcome: shoot them over to scifipolicy@gmail.com, or tweet them at us @scifipolicy.